Problems on the Water? Call Penn’s Landing Marina! 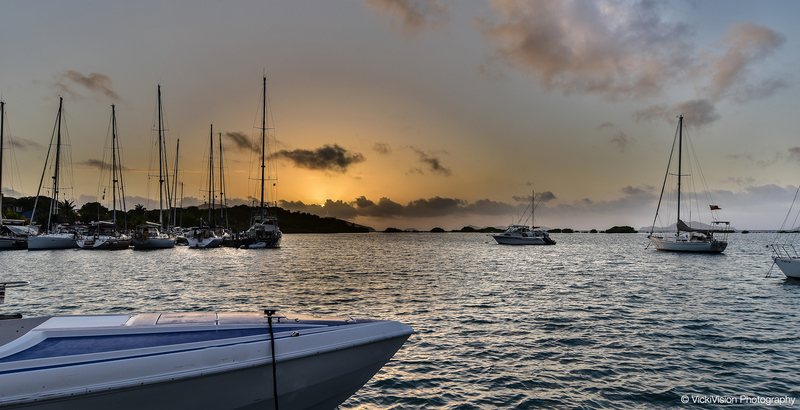 For hundreds of years, the BVI has provided a safe haven for sailors (and pirates!) with its sheltered bays and gently sloping sandy beaches and cays providing ideal locations for maintenance and repair work. Penn’s Landing Marina, located in the well-protected Fat Hog’s Bay, continues this tradition. Last month, Penn’s Landing was contacted by a captain, who ran into problems on the water as he struggled to deal with a stubborn foresail that refused to furl. With darkness falling, there were serious safety concerns; traveling at night with a faulty sail was not an option, yet leaving it as it was could cause unwanted movement and drift while at anchor. So what to do? After phoning Penn’s Landing and explaining the problem to Justin and his team, the yacht was advised that the best course of action was to drop anchor in a sheltered bay and wrap the sail as best they could. With an anchor watch set, they could overnight safely, then make their way to Penn’s Landing in the morning. At first light, the yacht set sail for the marina. Coming onto a mooring buoy with the foresail still up is a tricky maneuver, so when the vessel began its approach into Fat Hog’s Bay, Justin – who had been awaiting their arrival – made his way out onto the water to assist. Once she was securely moored, Justin was able to start analyzing and diagnosing the possible causes of the yacht’s problem. A systematic inspection of the sail, furling unit and rigging revealed the culprit was the foresail’s steel halyard, which had kinked and wrapped around the sail at the top, preventing the crew from furling in the canvas. A more suitable pure rope halyard was fitted instead of the old steel cable, and a ‘wrap stop’ installed for good measure, to prevent this happening again. Within a day, she was shipshape and ready to continue her journey round the BVI. The relieved owners hauled anchor, secure in the knowledge their yacht was seaworthy and that, should further problems surface, professional help was just a phone call away! Yacht owners experiencing technical or mechanical problems on a BVI sailing trip may even email or text images illustrating the problem, enabling Penn’s Landing experts to offer immediate solutions and advice in the event of a crisis on the water. With a well-stocked chandlery, food market and laundromat all easily accessible by dinghy (not to mention the wonderful Red Rock Restaurant & Bar!) an unscheduled stop for repairs at Penn’s Landing can also be an unexpected opportunity to resupply and relax for a night. Contact us today for further details on marina rates; maintenance and repairs; and mooring and docking rentals at Penn’s Landing Marina.